Once again we return to the night storm at sea in Mark 4:35-41, which symbolizes storms that we may face on the sea of life. The disciples, some of them former fishermen knew the natural tactics of how to handle a boat in a storm, but this storm was more than they could handle and they became fearful of going under. But remember they had the mandate to “go over to the other side”, and as the late, great, evangelist Oral Roberts said, “They couldn’t go under for going over!” The storm didn’t bother Jesus, as He was asleep on a pillow, and when they called upon Him he rebuked the wind, spoke peace to the sea, and, I believe, taught them a great faith lesson asking, “ Why are you so fearful? How is it that you have no faith?” It may not always be easy to fulfill His mission, but when we encounter a storm, oh that we could believe what He has begun He will complete! He was with them through the storm bringing peace to the troubled sea. 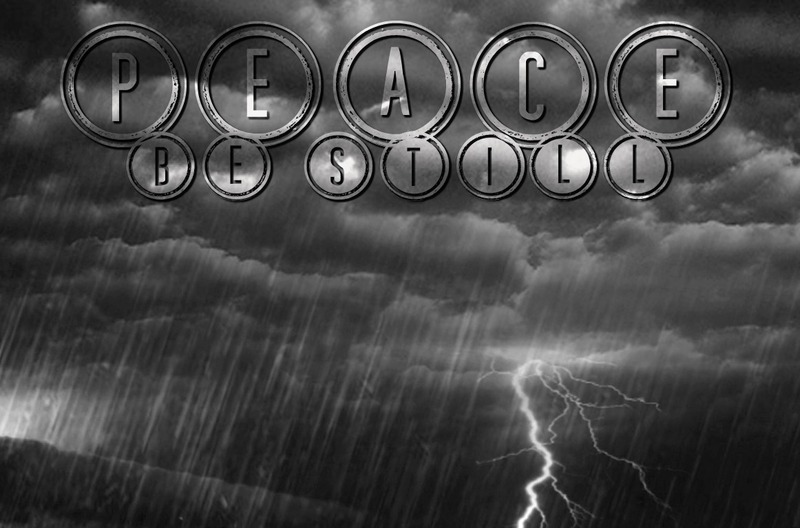 In the words of an old song “There is peace in the time of trouble There is peace in the midst of the storm, There is peace tho the world be raging, In the shelter of His arms.” It is better to be with Jesus in the midst of the storm, than to be without Him on a calm and placid sea! There seems to be no place of retreat. And the wind and the sea will obey His will. Song lyrics copyright 1963 by Sword and Shield music Co.